As I looked outside my office window today my attention was drawn to the antics of nature. I was being entertained by the occasional dead maple leaf being swept high into the air and then being spiraled in grand crescendos by intermittent gusts of wind. It reminded me that no matter how hard I tried to control my life there is a far greater and powerful invisible force that oversees my destiny. My life moves in conjunction with the eddies and currents of the cosmic winds and I have no choice but to go with the flow. Each year I seem to connect deeper to the seasons; I look forward to the awakening that each season stirs within, sometimes with great jubilation and other times in trepidation. Autumn being my favourite season was tinged with sadness this year, a dear work mate passed away just before Easter; he was only 53 years old and left a wife and three young teenage daughters. How strange that he should end his days at this time, at this season and it precipitated my reflection on my own mortality, my own life which is now in the autumn years. Members of our office gathered at his funeral to pay our last respects on the day before Good Friday. The service was conducted in a Catholic church and I noticed that the statues of Christ were covered with hessian cloth, a representation of what is hidden and waiting to be revealed, that time of unknowing that proceeds the ultimate sacrifice, that time of death and then transformation. Three robed priests officiated at this rite of passage; standing in a line they seemed some how to mirror the concept of the triple Goddess. Each priest with a part to play in the honouring of a dear departed Soul. As I sat there on a simple wooden pew a voice within reminded me of this sacred space. This place of divinity, blessed and sanctified; this place where one can seek solace or commune with the Divine; what does it matter the religion, whether it be a Jewish synagogue, a Muslim mosque, a Buddhist or Hindu temple, a Pagan's circle of stones in a forest grove or a Christian Church? The Divine makes no distinction. I sat quietly detached from my emotions and observed the energies around me. I noticed the aura of the roses that lay upon the coffin; I perceived my friend's presence lying silent within, a sense of peace encapsulating his being. While the priests prepared the sacraments for the Holy Communion a song was sung about being carried on an eagle's wings, and as a prayer was being given by the priest I noticed a spark of light emanate up from his crown chakra to his transpersonal point; he was oblivious to the connection but my heart stirred and I was deeply affected by the presence of the Omnipresent. It reminded me of my visit to a Hindu temple some years ago where a ceremony celebrating Shiva's marriage brought about a rush of powerful energy that penetrated my soul and caused great discomfort to my heart chakra. Here I was again experiencing an awakening, a validation that Spirit does indeed move in mysterious and unexpected ways. The word 'know' drifted into my consciousness and for a millisecond I transcended the illusion of my mortality. Fourteen members of SOL gathered on Friday night to celebrate the upcoming Scorpio full moon. It was heralding a time when we could name our fear and in the process our fear would lose its power over us. Once the fear was faced we would go through a process of transmutation; a process to renew and restore our soul and like a Phoenix rising from the ashes we would surrender ourselves into our true spiritual essence. It was a night of great enigmatic energy as two ancient Greek Gods of Fire were to be the hosts for this evening: Hestia, the keeper of the sacred flame & Hephaestus God of fire, arts and smiths. Even before the circle had started the presence of fire was being felt as its energy was building gathering and accumulating. Initially I found myself running around trying to find things and the heat gathered and then when arriving at the circle I realized that I left the music behind and a mad race back to my house ensued to retrieve it and the heat gathered. By the time the ceremony was ready to commence the energy was apparent and had transformed itself into frivolity and much laughing and joking followed. The ritual then began and by the power of the Dragons the circle was cast. The ancient four winds were evoked to guard the circle and our fiery hosts Hestia & Hephaestus were welcomed in. The purpose or the ritual was stated which was to transcend our limitations. During the ritual, each participant wrote their single most pressing fear on a piece of paper, which was burned in the cauldron of Fire in keeping with the old belief that prayers and requests are carried to the Gods on the smoke of the altar fire. Once all fears were placed within the cauldron, the fire burned with great ferocity and as we held hands and walked the circle the energy was accumulating into a central column. At the gathering of this energy, we chanted, "air so healing, fire empowering, water connecting, earth manifesting", and at the moment when our voices were at their apex we sent the energy containing our fears into the universe and like the phoenix rising up from the ashes in the cauldron the energy was released. Hestia then walked the circle blessing each participant with purified and blessed water. This blessing conferred a sense of renewed purity and vitality and allowed deep communion with the spiritual essence of fire on the divine level. We then thanked our ancient hosts and the four winds for their presence and guidance and the residual energy was then grounded back into the earth and forwarded to individuals for healing. The circle was closed and then we all finished the evening with our usual feast. 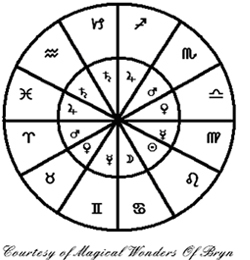 More information regarding this circle and past circles can be found in our Book Of Shadows. Our next Full Moon Circle will be on Friday 16th May, please contact us for further details if you would like to attend. Samhain is traditionally the Celtic Feast of the Dead and is one of the 8 sabbats in the pagan calendar. In the southern hemisphere we celebrate it around the 30th April/1st May and it is celebrated in the northern hemisphere generally on the 31st October. Samhain may be pronounced in a number of ways but the most common pronunciation is "sow-in". Traditionally, this festival was used by the ancient pagans to take stock of supplies and slaughter livestock for their stores during the cold winter months. The ancient pagans believed that on October 31, the veil that separated the living from the dead dissolved, and that the dead walked amongst the living creating sickness and destroying animal stocks & crops. Ghoulish costumes and masks were often worn at these festivals in an attempt to confuse or placate the evil spirits. So you can see that the modern day Halloween is a modified version of this ancient festival. The term Halloween is shortened from All-hallow-even, as it is the eve of "All Hallows' Day", which is now also known as All Saints' Day, a Christian concept commemorating the departed faithful who have not yet been purified and reached heaven. To pagans Samhain is the time when we connect with the forces of nature and make ourselves ready for the long descent into winter. Samhain also reminds us that our lives here on this earth are temporary and that Death is never far away. As Samhain approaches we need to reflect on those aspects of our lives that no longer serve our higher purpose. The attitudes and behaviours that we no longer need can be released to make room for something new to come into our lives. Samhain is a time when the veil separating our world and the spiritual world becomes thin. This is a good time to honour and commune with our ancestors and the departed who reside in the astral planes. Likewise, this is a time when the separation between past, present and future becomes blurred, allowing us to use divination to gain a glimpse of our lives which have not yet come to pass. Rituals: Celebration of the last harvest, honouring of the dead, scrying, divination. Incense: Copal, sandalwood, benzoin, wormwood, mugwort, sage, myrrh or patchouli. 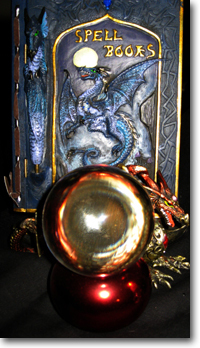 Tools: Besom, tarot, crystal ball, pendulum, runes, oghams, cauldron, scrying bowl, or magic mirror. Stones/Gems: Black obsidian, jasper, carnelian, onyx, smoky quartz, jet, bloodstone. Symbols & Decorations: Apples, autumn flowers, bats, black cat, bones, crows/ravens, death/dying, pomegranates, pumpkins, waning moon. Foods: Apples, cider, meat (traditionally this is the meat harvest) nuts, pomegranates, potatoes, pumpkins, squash. Goddesses: The Crone, Hecate, Cerridwen, Medusa, Bast, Persephone, Hel, all Death and Otherworld Goddesses. Gods: Horned Hunter, Cernnunos, Osiris, Hades, Gwynn ap Nudd , Anubis, Loki, Sacrificial/Dying/Aging Gods. Animals: Stag, cat, bat, owl, jackal, dog, scorpion, heron, crow, robin. Mythical Beings: Pooka, goblin, medusa, beansidhe, harpies. Meaning: Death & transformation, honouring, reflection, thinning of the veil between worlds, death of the year, night of the Wild Hunt, end of old projects. 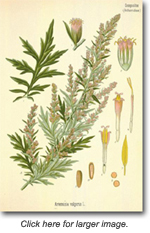 Mugwort (Artemisia vulgaris) can assist with divination and mediumship. A cup of mugwort tea sweetened with honey before a scrying session can heightened your psychic abilities, make sure that the mugwort that you use is fresh. A combination of sandalwood and mugwort as an incense can also be used and I often add some benzoin to bring clarity to my scrying work. You can also wash your crystal ball or scrying mirror in a mugwort infusion. Add mugwort to a dream pillow or smudge it around your sleeping area prior to sleep to assist with astral projection. Please avoid during pregnancy as it is labour inducing. from that tree I fell." The history of the runes is unknown. There are many different theories as to how they came about, the most common being that they originated around 100-200AD among the Goths or Germanic tribes. The runes make up an alphabet that, with local variations, was used across most of northern Europe from pre-christian times until the thirteenth century. According to Norse mythology, Odin hung himself in self sacrifice from the world tree Yggdrasil for nine days and nights in order to receive cosmic wisdom. This was granted to him in the form of the runes. The word rune is derived from runa , an ancient Germanic word meaning whisper or mystery. "The Algiz rune was often used by the warriors as a symbol of protection and this seems to be its principal function. Raising the hand palm forward with the middle three fingers splayed was an old Germanic sign of protection against evil and this also recalls the rune's shape." Protection from harm, positive influences, friendship and trust. Mystical communication with the Divine, guardian spirit, absorption of protective cosmic energy and faith in the Divine. Was Hael and welcome to the first of four editions of Ingress Astrology - otherwise known as the quarterly Solar marker. Our two luminaries which light up the sky are the Sun and Moon, and the Ancients placed a very high importance on observing and marking their movements across the skies at various times of the year. The wheel that is shown here corresponds with the 12 signs of the Zodiac, but for the purpose of the Ingress, we will focus on the four cardinal points - or cross - which coincides with the movement of the Sun. For those of you who haven't heard of the term Ingress, it's really a simple one. It denotes the movement of the Sun from its initial starting point at the Equator, before moving North to the Tropic of Cancer, moving back to cross the Equator, and venturing Southward to the Tropic of Capricorn. You would've heard of the seasons named Spring, Summer, Autumn and Winter. At Spring and Autumn we have the Equinox - or equal length of day and night - while at Summer and Winter we have the Solstice - longest day and night - also to mean when the Sun stands still. In the Northern Hemisphere, it heralds the Spring - or Vernal - Equinox. In our Southern Hemisphere, it is, of course, our Autumnal Equinox. Because I'm writing from a Southern Hemisphere perspective, I will refer to that from here on. Day and night are of equal length, the weather is now decidedly cooler and we venture indoors more often. The Equinox marker for our first Ingress is around 21st March, in the sign of Aries. The glyph representing Aries is this . Irrespective of where we are in the world, the Sun's course never changes. How we view the Sun's course is different in each hemisphere, but the movement is always the same. At this time of year the Sun will make its Northward journey to its next Ingress point - the Tropic of Cancer. Before then, though, it's made its first Ingress at 0 degrees of Aries. This time of year generally marks new beginnings. Goals and plans are likely to be set in motion. There is also a good deal more energy to be utilised, probably because it is now cooler and we're not sweltering from the Summer heat. The ruler of Aries is Mars, and his glyph is like this . Mars was the Roman God of War. He represents fiery energy and vitality, action and impulsiveness, along with our basic primal desires - the equal to Mars is Ares in Greek and Tyr in Norse. Depending on when you're born, it tends to be more noticeable for those of us born under the Ingress signs of Aries, Cancer, Libra and Capricorn. For those born under Aries, there may be a fair portion of planets in that sign - or else not far away from the Sun - and your Natal chart would indicate this. In any case, the movement of the Sun would bring about aspects that are called conjunctions. A conjunction is when planets appear to lie near each other on a chart. I, myself, am an Aries and I have a cluster of planets in that sign. This is one of my more energetic times of year and how it starts out sets the tone for the rest of it. For those born under Cancer, the Sun will move into an aspect that squares with your personal planets. Think of a 90 degree angle and you'll get the idea. Square aspects are amongst the most challenging but they are also the most rewarding in the long run. When we come up against a square, we must address something in our lives that is no longer working for us, we could also feel a little down. Emotional blockages may also be dealt with and moved on from. The key word here is Change. You may also be aware of a particular pattern that is prevalent around the same time of year. I must stress here that everybody is different, and how one person handles a difficult aspect is quite different from another. Under Libra, the Sun lies in an opposition for those born at that time of year. Relationships and harmony may be more important, diplomacy, and honouring the opposing forces that can't survive without the other. Finding the right balance would be good at this time. People may come into your life and offer a part of themselves in the way of an attribute that you don't otherwise have. Such attractions may cause conflict initially, but when we bear in mind the fact that people come into our lives for a reason - usually for our spiritual development - it paves the way for a deeper understanding and smoother sailing. In Capricorn, we have the opposite square to Cancer, and for those born under this sign the difference is also obvious. Unlike Cancer, Capricorn is about ambition and public recognition. There may be more stumbling blocks than usual, you could feel like your plans are thwarted - is it worth continuing, am I doing the right thing? Nagging doubts could creep into your awareness - and it does with all of us. What's important at this point is how you approach this aspect and be mindful of what happens. What may start off as walking into a minefield could in fact become piles of dung! In other words, what might not have been seen before - and therefore bear more painful consequences as a result - can now be easily avoided. Once your eyes are open to such challenges, they become less difficult to master. For the other signs, there are periods of relative ease and/or adjustments to be made. The periods of ease are when the Sun aspects the planets at 120 degrees, called a Trine. We rely on what we can do easily and it just flows nicely. When there seems to be a constant need to make adjustments is when the Sun aspects at an inconjunct - or Quincunx - angle of 150 degrees. Those are moments likened to finding a rock in your shoe. You might put up with it for a while, but you will reach a point when you can't stand it any longer and the rock has to go! Adjustments are another marker on our path that allows us to get back on course - sometimes the adjustments are minor, others are major. It must be noted here that whatever sign the Sun moves in is important for each and every one of us, regardless of the time of year it is in. We will all come across the easier times and the not so easy ones. Having said that, however, this article is about the Ingress markers and is highlighted more for those who are born under the above-mentioned signs. It is specifically because of the Sun's movements across the four cardinal points. We, as human beings, know on a deeper level when the changing seasons approach, and how more noticeable it is for that. One way of getting back into touch with the solar movements is to simply watch how the Sun moves across the sky at various times of the year. At the Equinox it rises at the East. On its Northbound journey the Sun rises over the North-East, and the arc across the sky is somewhat shorter - indicating our shorter days and longer nights. When it heads back South to cross the Equator once again, it will also rise at its Easterly point, before continuing on its way. The arc is also wider, giving us an equal amount of day and night. At the Sun's peak in Summer, we see it rise over the South-East, the arc is at its widest and daylight is longer. The same must also be said for where the Sun sets. At the Equinox, it sets in the West. During Winter, it sets in the North-West. During Summer, it sets in the South-West. The trouble with us today is that we have lost our ability to tune into nature. The suggestion I just mentioned is only one of the many simple ways that we can tune in and reclaim our innate intelligence - the ways of our Ancient ancestors. On that note, I will take my leave and continue with sky-gazing - until the next Ingress in Cancer, that is. Read this and other articles by Jenni Barnett on Spheres Of Light's website in Astrology Corner. A child of the Moon is born, to two loving parents. safe, snug, secure and happy. All is well with her world. the source of future contention and turmoil. She sees in her world many things, many people. to see the beauty of the sunrise and sunset. always hidden, kept very private. and her mother, the emotional, spiritual believer in God. Differences aside, their love is strong. As she grows, thoughts and ideas form. She quietly ponders, wonders, in her solitude. Why is she so different? She does not fit into the world of her parents, her brother, or peers. She feels somehow distant, alienated, alone. The Maiden wants no part of it. out of fear for her daughter's soul. No respect, trust destroyed, childhood ended. scarred by the past, but matured, complacent. with the wife, and the life he now knows. Their love is still strong. while teaching her children love, respect and tolerance. to keep the cycle turning. forever learning, hungry for knowledge of that which beckons. Fears of history repeating itself as she realises her goal. Has she become like her own mother, or has she learned? makes no waves, only ripples under the Moonlight. She has learned to stay silent, to hide what she now sees. It is not yet time to reveal new insights. Fear of rejection, ridicule haunts her dreams. This is not a repeat of history but a lesson learned from it. Her time; not of endings but of new beginnings. the Goddess, to complement the God, the seen and unseen, dualities in balance. Yet she has the wisdom to stay silent in the Moonlight as needed. The realisation that what is, always has been. There is no one true path, but many. and to nurture those qualities within herself and others. the wisdom of the Goddess; the Maiden, Mother and Crone. Was Hael and welcome to the latest article on Paranormal investigations. My name is Jenni Barnett, and I'm one of the members of the Spheres of Light group - SOuL Searchers - who conduct investigations into the Paranormal and Supernatural, as an integral part of our Shamanic journeys. On this particular night, we started off at St Mark's church and graveyard. There is already a sense of the weird and otherworldly, simply because a graveyard is where people are buried. It's really amazing the sort of activity that transpires from such places. No one would know for sure - without deeper probing perhaps - as to who the spirits that inhabit these places are. What is distinctive, though, is the energy that emanates from them. A light, fleeting energy would suggest a spirit passing through, while a heavier, darker energy would suggest an earthbound spirit - someone who can't or won't leave his last incarnation. Picton is a rather old rural town in NSW, and it is a place well-renowned for spirit activity. St Mark's offered us some interesting insights this night. I can, at this point, only offer a perspective from some of the members along with myself, but the crux of the activity from the graveyard seemed to be near the church. Samantha had taken a picture on her digital camera that came out foggy (see photo above). At the same time and place, the dowsing rods I was using crossed over each other and Charlene's EMF emitted activity by making a noise. Sam also had a compass that suddenly moved off its northern point - without an apparent reason for doing so. Janine had also started feeling rather uneasy at this point. Closer to the church, there was a significant, and immediate reaction from some of us simultaneously. Janine felt sick, and my stomach tightened into a rather hard knot. My solar plexus (one of the seven major chakras, located around your stomach and lower ribcage) always pick up on ill and nasty feelings. I walked up to one of the locked doors and the feeling intensified. I asked Janine to come to the door and she still felt sick, if not more so. I don't know the exact history of St Mark's, but I had a very bad feeling about the place. Some of us walked the perimeter of the church when Charlene started to smell sewerage - there are no exposed sewer pipes anywhere in the vicinity - and I had a really nasty taste in my mouth. The general consensus at that point was that we picked up a good deal of activity and those that took photos had found orbs and the like. The next place (we intended to only scout two places this night) was the nearby railway viaduct and creek. As I didn't go to the viaduct, I wasn't aware of any activity, but I don't think that anything untoward was found or encountered. One of our members did take a fall and hurt her foot, but luckily it wasn't anything serious. At the creek and bridge, however, there were some interesting observations and activity at hand. A few of us decided to cross the bridge - we had a joke about a Troll under the bridge - and look into the water. There was a swirling energy in the water near the bridge. It could've been caused by some fish or frogs, except that the swirl was in the same spot and not moving. There is a possibility of elemental activity. I looked up at the embankment in front of me and saw a shadow moving amongst the trees. I think Janine saw something along similar lines later on. Last time we were here, I stayed on the west side of the bridge, but I decided to go with Sam on the east side - as there seemed to be some activity noted from there last time. Immediately, there was a sense of something else among us. Sam and I felt the presence of a spirit. The temperature also dropped but only where we were standing. It was a biting cold that just cut through the bone. We started hearing noises and heavy footsteps, like the thudding of boots, someone running. Nearby was a clump of trees that oozed much elemental energy. One of the members came over and started taking pictures to see what she was able to find. She then walked off, seemingly not picking up on much but she also felt the cold. Sam and I wanted this spirit to communicate with us, but it wasn't forthcoming - not till we decided to leave! We turned to walk away when I felt a rock thrown at the back of my leg. Sam and I jumped, needless to say, had a laugh and walked back to the others on the other side of the bridge. I mentioned earlier how we joked about the Troll under the bridge, and wondered afterwards whether we had hit the mark in that regard. There are myths and legends in Australia pertinent to what we would call Yowies - the equivalent of Troll, big foot, yeti etc. The group observed that the west side of the bridge was a lot more peaceful in comparison to the east side, and on the bridge itself there was also a weird feeling. Near where we parked our cars, there was a flat grassed area which emanated some dense energy. As cold as the night was, it felt even colder, and my lower back was feeling sore. I was standing still, didn't move suddenly to feel the pain and I certainly hadn't jarred it! Despite the fact that I've been along to a fair amount of investigations now, I'm always fascinated by the outcome. It's never the same feeling twice, and some things just simply cannot be so easily explained. The logical mind will always want to find a reasonable explanation - and there are occasions when that is warranted, perhaps always - but sometimes it is better to accept an open mind when such matters happen. In my home town, I've been hearing about one or two people visiting the local cemetery and other haunts alone, or only in pairs. I can't stress the importance of never going to such places alone!! In the first instance, one of our friends fell over, and amongst a group. She wasn't seriously hurt, but too often there have been worse case scenarios of people walking alone and getting seriously injured. Another example would be that of the beginner not taking adequate steps to protect him/herself. Rest assured, if you don't protect yourself, there's no way of knowing what you're going to take home with you afterwards - and the unforeseen consequences that would surely follow! I went on a ghost-busting investigation with a woman who was getting rid of a ghost from this person's home. I went in, thinking that I did all the right things, but being new to all of that at the time, I think the ghost sensed it. The following day, I took my children away for the weekend down the South Coast, only for the car to have rolled, into a mobile home on the caravan site and causing some damage! The car was still in park! No one was hurt, but I was in a state of shock. For the newcomers to the paranormal, go with others who know what they're doing. Learn about safety measures to take in order to protect yourself, before any investigation. Leave any crystal jewellery at home, as they absorb all forms of energy. If you travel in your car, protect that as well. Don't leave anything to chance. Paranormal investigations are exciting and enjoyable, hands on, and so long as your mind is open, the possibilities of what you see and feel are endless. Minimise any risks to your personal safety, and enjoy the fruits of your labour! The CLOSING DATE for booking your place (including all monies paid) was WEDNESDAY 16th APRIL, however we may still accept some bookings for a limited time after this date. Click on the owl above for more information and contact details. Each season interfaces with the next one, each season brings a new discovery, a new journey. Winter is the season of death and rebirth, with the focus on rebirth. Samhain marks the Celtic New Year and winter. This is a period when we focus on death. In Samhain the birthing from the physical death into the spiritual realm takes place. At winter the spiritual rebirth occurs. At Samhain we die and leave our material form and reenter the womb, the cave, the great abyss of the great Dark Goddess. Winter the most metaphysical of the seasons, is a time when we can commune with our ancestors, a time when the veil is thin and we can move between the spiritual and the physical. At the Winter Solstice, the Dark Goddess rebirths us into the spiritual realm of light. Come on a journey of discovery into the magic of winter and learn how to use its energy to enhance your own magic and spiritual work. 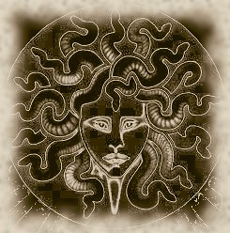 Connect with Medusa, the Serpent Goddess who symbolizes the bridge between the worlds, death, and renewal. Incl: a walk past Emily Cottage, Fisher's Ghost Bridge and the old Fisher's Ghost Restaurant. ***Only 20 1 ticket now available for this tour. Combine the cottage cheese, lime juice, garlic salt, and pepper in a food processor until smooth. Stir in the spring onions. Refrigerate until ready to serve. Place mixture in a black container and serve with pita wedges and cut up vegetables. These cookies can be made on Hallow's Eve. They can be shaped like people and the herb rosemary is added to the dough as a symbol of remembrance. Some of the cookies are eaten while telling stories or attributes of special ancestors, reminding us that we still have access to their strengths - or perhaps a predisposition to their weaknesses. The rest of the cookies are left outside by a bonfire as an offering. This can be a solemn ritual, but it need not be. Heat oven 200 degrees. In a large bowl, beat sugar, butter, egg, vanilla, almond extract, and rosemary until creamy. In a separate bowl, sift flour, baking soda, and cream of tartar. Fold flour mixture into sugar mixture. Beat until dough forms and refrigerate for three hours. Divide dough into halves. Roll out one portion to 3/16 of an inch on a floured surface. Cut out with gingerbread women or men cutters and place on an ungreased cookie sheet. Repeat rolling and cutting with second portion. Bake for 5-7 minutes. 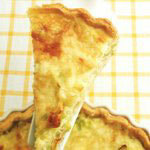 Pumpkin quiche with a low-fat, crunchy base. Combine bacon, onion and garlic and microwave on HIGH for 2 minutes until tender. Beat eggs with cottage cheese and yoghurt. Mix thoroughly with pumpkin, parsley and bacon mixture. Spray quiche dish lightly with non stick spray and line with pita bread. Pour in mixture and bake for 40 minutes.